Almost all employers should now be using real time information (RTI). This generally requires payroll information to be provided to HMRC ‘on or before’ payment to the employee. In most cases, the payroll software does this automatically. RTI integrates with the new universal credit which is being introduced over several years. This year there are some significant changes to national insurance. From April 2014, a new employment allowance will allow the employer to deduct up to £2,000 a year from their Class 1 national insurance bill. This is the equivalent to the whole employer’s national insurance for a single employee earning approximately £22,450 (based on previously announced rates for 2014/15). From April 2015, employer’s national insurance will be abolished for workers under the age of 21 who earn less than the upper earnings limit which is expected to be £42,285 per annum by 2015/16. Another change is the introduction of a new class 3A contribution from October 2015. This is a voluntary contribution that may be paid by those who reach state pension age before 6 April 2016. It will increase the amount they receive as additional pension from the state. Although this does not affect payroll directly, it can be relevant for employees receiving pension advice. If an employee has unpaid class 2 national insurance from self-employment, this may be deducted from April 2014 by adjusting the tax code. There have been changes in the national insurance status of those who work in the entertainment industry. Please contact us if this applies to you. From 6 April 2014, the annual limit for pension tax relief will reduce from £50,000 to £40,000. The lifetime limit reduces from £1.5 million to £1.25 million. For employees in occupational schemes, these limits include the employer’s contributions. In a final salary pension scheme, a pay rise as small as £3,000 a year could exceed this lower annual limit. Employees who have pension savings above £1.25 million on 5 April 2014 may be able to benefit from individual protection known as IP14. We can advise on how this operates. In a more wide-ranging review of pensions, it remains the Government’s plan to introduce a new single-tier state pension from 2017. One of the changes involved includes ending the contracted-out rebate for national insurance on defined benefit occupational pension schemes (a similar rebate for defined contribution schemes ended in 2012). Affected employees and their employers will pay more national insurance. The personal allowance will increase from £9,440 to £10,000 from 6 April 2014. There is a reduction in the band at which tax is paid at 20 per cent. This reduces from £32,010 to £31,865. 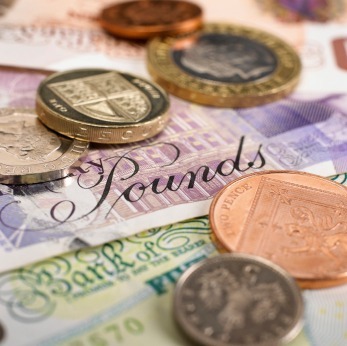 With the increase in personal allowance, this means that the point at which an employee will typically become liable to pay a higher rate tax of 40 per cent increases from £41,450 to £41,865. This is an increase of just one per cent but could mean that some employees will pay more tax. From April 2015, the Government is introducing a transferable tax allowance of up to £1,000. This will apply where one partner in a marriage or civil partnership pays tax at the basic rate and the other partner has an unused tax allowance. For employees, this will be given effect by adjusting the tax code. From 6 April 2014, the tax-free limit for beneficial loans doubles from £5,000 to £10,000. This is the maximum amount an employer may lend to an employee without the loan being regarded as a taxable benefit. It means, for example, that an employer can provide a loan for the employee to buy an annual season ticket to commute to work. A beneficial loan is where either the employee pays no interest or pays interest at a rate below an ‘official rate’. This rate has been four per cent since 2010. Loan repayments from salary or wages may only be made if the employee gives written authority before the money is lent. We can advise on how to document such a loan. HMRC has recently announced that it will automatically close any PAYE payroll that has not been used for four months. If you believe that this could affect you, please contact us. From 6 April 2014, there will be a one percentage point increase in the rates used to calculate the taxable benefit of a company car. This means that an employee may be taxed on a higher figure for benefit from April 2014 even though he or she has the same car as in the previous tax year. From 6 April 2016, many percentages for petrol cars increase by a further two percentage points. Diesel cars will be taxed using the same percentages as for petrol cars. These increases can mean that many employees will be better off not having a company car but being paid more in salary. We can advise on this. Several changes have been made or are proposed to tax-advantaged schemes that allow employees to acquire shares or share options in their employer. The maximum amount that an employee may contribute to a Save As You Earn (SAYE) scheme doubles from £250 a month to £500, from April 2014. From April 2014, the financial limits under a share incentive plan (SIP) increase. The limit for free shares increases from £3,000 to £3,600. The limit for partnership shares increases from £1,500 to £1,800. Some other changes are made to schemes, such as the introduction of new tax reliefs designed to allow for companies to be owned by an employee ownership trust. We can provide guidance and assistance in setting up and operating any of these schemes. A partner in a limited liability partnership (LLP) is no longer regarded as automatically being self-employed. Depending on the nature of the partner’s work, he or she may be regarded as an employee, which means that their earnings must be paid through the payroll with PAYE and national insurance deducted. We can advise on whether a partner should be paid through the payroll.